・Adds real scale train, rail, vehicle, signboard, etc. ・You can create custom model and add it. Put Mod in mods folder without decompression. This mod need NGTLib, please put in the mods folder together. If a warning message on the screen may appear, in accordance with the text in the link here, please enter the authentication code. The game keep crashing whenever I place tracks near a switch or when I place tracks on a value outside 10, 20, 30, 40, 50, 60m. How can I get the permission to place the vehicles on my server? Need Help! 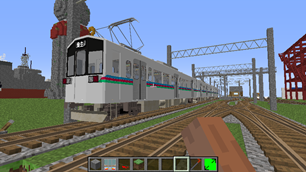 I have a problem with the mod I have everything installed right with the Takami Train Pack addon installed as well and it won't let me drive ANY train because it won't let me shift down, it will only shift up, preventing it from going. Do you know how to fix this? Hello!, can any help me with a problem on multiplayer? 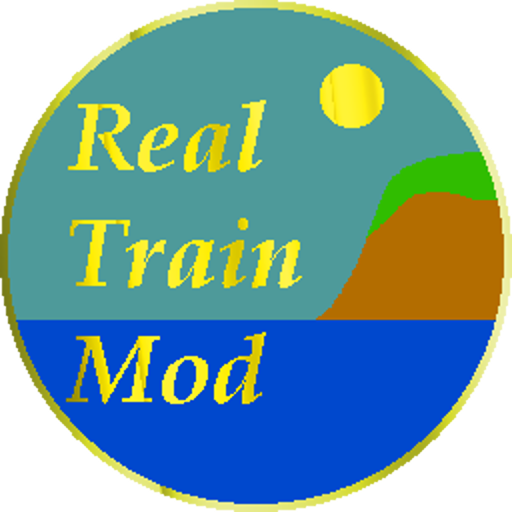 I would like to play multiplayer with the realtrain mod. but if I put a track down, the other does not see it in multiplayer. if I then put a train down on the rails, the other person crashes his game. how can I solve this? Yes i use it now and it make no difference. good i go make a vid for u! Do you know why I do not see the rails in the multiplayer? and why it says: Cant load list? Please help, my rails are "flashing" where is problem ?